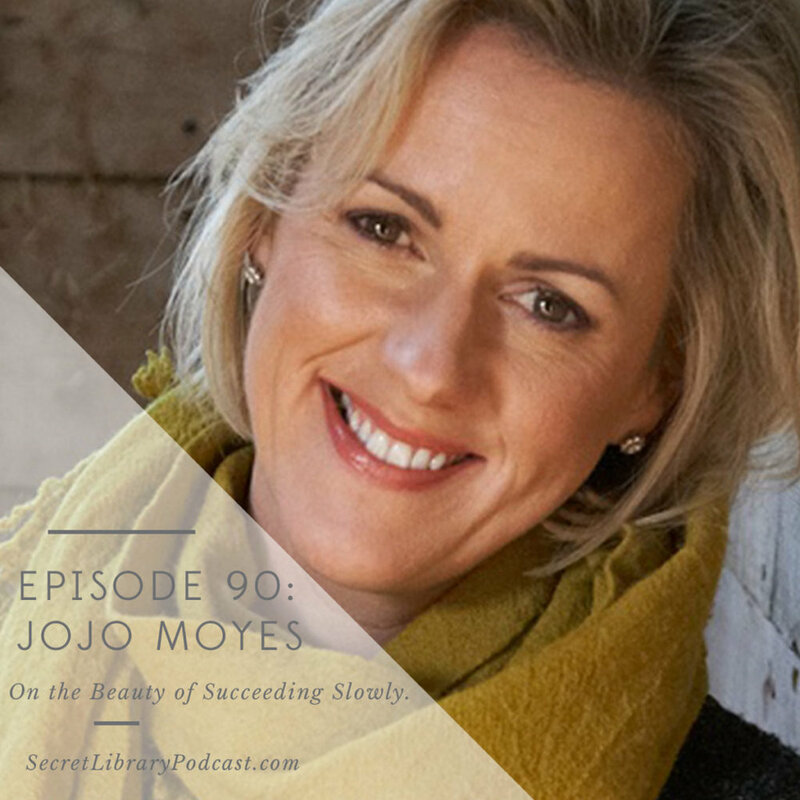 Before Me Before You sold 8 million copies, Jojo Moyes wrote three books that didn't sell at all. In fact, she began her career with one of the most amazing lists of jobs I have read thus far – typer of braille bank statements and minicab controller being my two favorites. Jojo went on to study journalism and worked in that field for ten years before she turned to fiction. And when she did she wrote three novels that were all rejected by publishers. When she started the fourth, she knew she was no turning back because she couldn't help but write despite the heartbreak of getting another no after years of hard work. Once her first book was published, it wasn't an overnight success story that followed. Jojo published 8 novels over 10 years before Me Before You came out. The wonderful thing about this conversation is her perspective on succeeding slowly. If she had written Me Before You first, one of her greatest joys would have been taken from her: the love that has been poured on all her earlier books now that people know her through a best-seller. They didn't read Me Before You and walk away, readers found her and were able to build a relationship because she had such a robust back catalogue. For anyone coming to writing after having had other jobs, or anyone who worries that there is no hope if your first book isn't a smash hit, I give you Jojo's story as the result you may prefer in the long run. She writes stories with romantic plot lines, but she is a realist through and through and this conversation is sure to inspire you on many listens. It gives me such great joy to share it. I hope it has you writing furiously the second it's over. “I don’t want the book to wait anymore.” Caroline on being held accountable. Episode 100 on the horizon. New website launch is coming! “I have to work really hard to create characters.” On starting a novel. “They both kind of landed in my lap, fully formed.” On the appearance of Louisa Clark & Will Traynor. Louisa is the character she feels closest too & is easiest to write. Me Before You not intended to be part of a trilogy. “Louisa was not allowed to leave my head.” On staying with a character though reader interaction and writing a film about her. “What happened after the headlines fade?” On still wondering about a character once their story has been told. “If you inhabit a character honestly, you have to slightly let them work at their own pace.” On stories going in different directions than what you’d imagined. NYC was logical place to move Louisa to, because it’s synonymous with ambition and striving and it’s also a major city without massive cultural obstacles such as a foreign language and food, like Tokyo or Rio de Janeiro. The problem with writing about NYC is that so many people have done it and done it well. The only way to do it authentically, for Jojo, is to do it as an alien. “There’s no substitute for actually smelling the smells and hearing the voices and walking out the territory.” On immersing in the setting you’re writing about. “It’s a sort of grubby love letter to the city... I like to see both my people and my places though a very un-rosy lens.” On writing her version of NYC in Still Me. “All good narratives thrive on tension.” On bringing class into her novels. Very conscious of how strong the fault lines of class are. “I wrote three books before I got published. ...If you are a writer, you can’t not write.” On writing anyway, even in the face of rejection. “I wrote eight books before I had a best seller.” On being a writer, even when it’s not paying the bills. “None of us have the time.” On having the discipline to write every day. Immense validation of readers discovering her back catalog and liking those - not best-selling - books too.